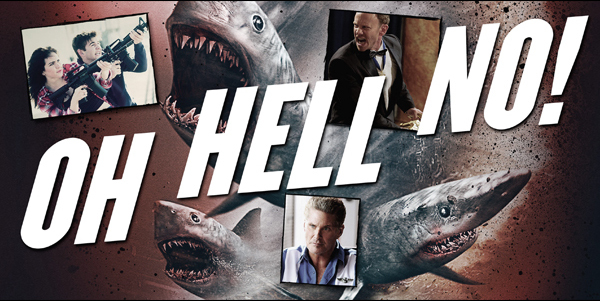 Howlin' Wolf Records: SIX STRINGS: SHARKNADO 3: OH HELL NO! 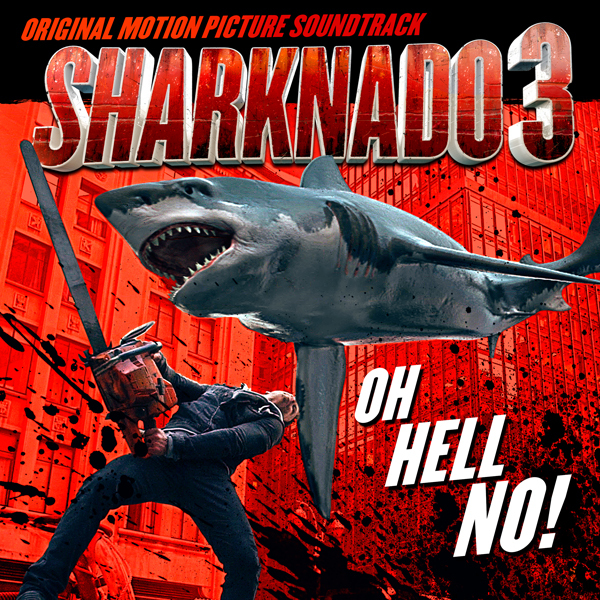 Lakeshore Records will release SHARKNADO 3: OH HELL NO! - ORIGINAL MOTION PICTURE SOUNDTRACK digitally on July 17th and CD on August 14, 2015. The soundtrack includes new and exclusive original songs from Camper Van Beethoven, Dead Kennedy's East Bay Ray, Eddie Cole and Dave Days. It also features exclusive contemporary covers of such classic Sharknado themed songs as a DRIVE-inspired Synth version of the Pixies classic "Wave Of Mutilation" by Daniel Davies & Sebastian Robertson, the Mission Of Burma anthem "That's When I Reach For My Revolver" by Filter's Geno Lenardo and Nina Bergman and the Surf Punks "Shark Attack" performed by Barnaby Austin. In the latest fin-tastic Movie, Sharknado 3 will cause mass destruction in Washington, DC, than roar down the Eastern Seaboard before the final confrontation in Orlando, Florida. Joining Ziering, Reid and Scerbo will be David Hasselhoff (Fin's father, Gil); Bo Derek (April's mother, May) and Nickelodeon stars Ryan Newman (April and Fin's daughter, Claudia Shepard) and Jack Griffo (Claudia's friend, Billy). Anthony C. Ferrante once again directs and The Asylum will produce. Sharknado 3 is based on an original screenplay by Thunder Levin. The Asylum and Syfy Films present SHARKNADO 3: OH HELL NO!, airing on Syfy on Wednesday, July 22 (9/8c), 2015. SHARKNADO 3: OH HELL NO! - ORIGINAL MOTION PICTURE SOUNDTRACK will be released digitally on July 17th and on CD August 14, 2015. Also available from Lakeshore Records are the soundtracks for SHARKNADO and SHARKNADO 2: THE SECOND ONE. It just doesn't get better than this, wait it might... have fun, enjoy the show and here is the music. Sharknado is just the gift that keeps on giving! When will it end? Who knew it had a soundtrack. Jeremy, I'm hosting my very first blogathon. I was hoping you would join in!